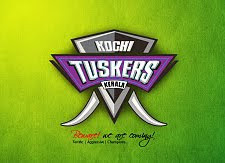 Federal Bank Limited, the leading private sector bank from Kerala will be the official sponsor of Kochi Tuskers Kerala IPL team. The sponsorship deal was signed between Executive Director of the Bank, Mr P. C. John and Mr Mehul Shaw, Director, Kochi IPL yesterday. Federal bank will be the official ticketing partner for matches held at Jawaharlal Nehru Stadium Kochi. The tie up of Federal Bank, one of the leading private sector Banks in Kerala with the Kochi IPL team will bring great joy to the cricket loving public of Kerala. Tickets to the matches will be available through select branches of the Bank and website. More innovative ideas are in pipeline to cheer the cricket fans and will be launched soon, the bank said in a statement.